Many business ventures happened from the most obscure reasons. Maybe in me, it’s the challenge. Let me share an example. I have rented limousines for many years. I always choose to hire from the best. But one day I said to the company I used that I would like to reduce my rental to four hours from five. The owner of the business rudely replied, No, we have rules like you have in your business. You have booked it for five hours, so you will pay for five hours. I was furious. I said yes, and as we are the owners of the business we should have enough E.Q. skills to learn when to be flexible for our V.I.P. clients. She replied I am not interested, you will pay as originally quoted. I said if this is how you treat me as I have been told by your chauffeurs and I am one of your best clients I wonder how you treat other clients and still make a profit. She replied we make more than enough and put the phone down!! I said to myself, you have challenged me. I will now open up my own limousine business and be the best value and service that money can buy. I didn’t have a clue where to start and know anything about this type of business. What I did know is my service to my customers will be tenfold to anybody else. I began my research. The four P principle. Price: was to simply give the best value for the quality limo or luxury car they hired and best service that you deserve. Product: found a place that builds limousines in JHB. My first was a white Mercedes Benz stretch Limo. Then I decided our niche will be to have the largest fleet of Hummer stretch Limos. So we focused on the Hummers, our colours vary from White, Silver, Champagne and black. 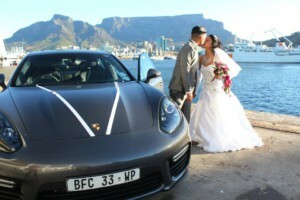 We have since expanded to renting out luxury vehicles, such as Ferrari, Porsche, Maserati, Lamborghini etc. Promotion: is ongoing. Never stops. Brochures, Internet, Events etc. Position: would be using the spare space our head office can rent to the new limo business. I can only thank our team in limo extreme who have ensured that not only are we the best limo and luxury car business in South Africa but also the largest. To read further on limo extreme you can click on our website. 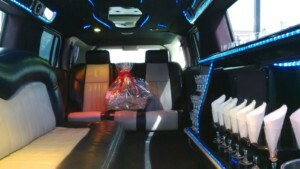 One question, have you had the pleasure of a night out with limousine extreme? If not don’t delay life is too short for ifs and buts, let’s just do it and enjoy a night out that you will never forget.